Anyway, I wanted to share some photos for a change, rather than all the slightly dreary and ‘diary-esque’ posts of late! 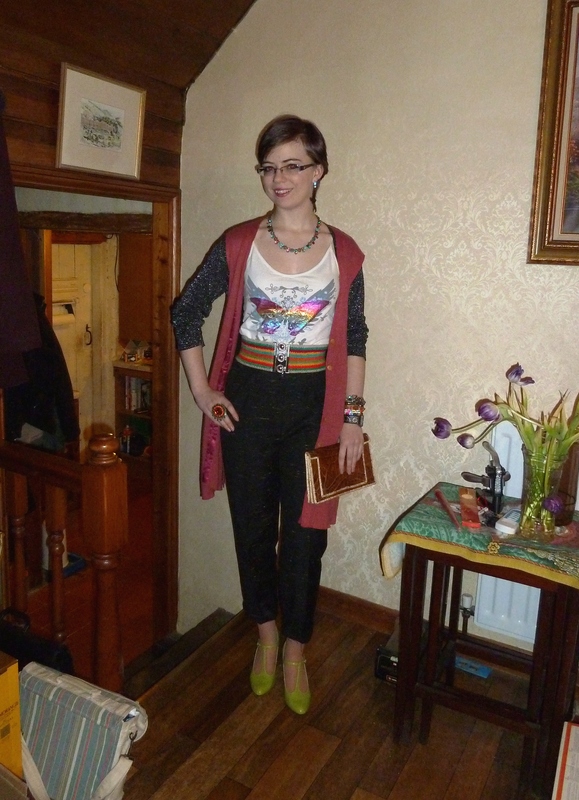 Starting off with an outfit I wore for BD the other week. 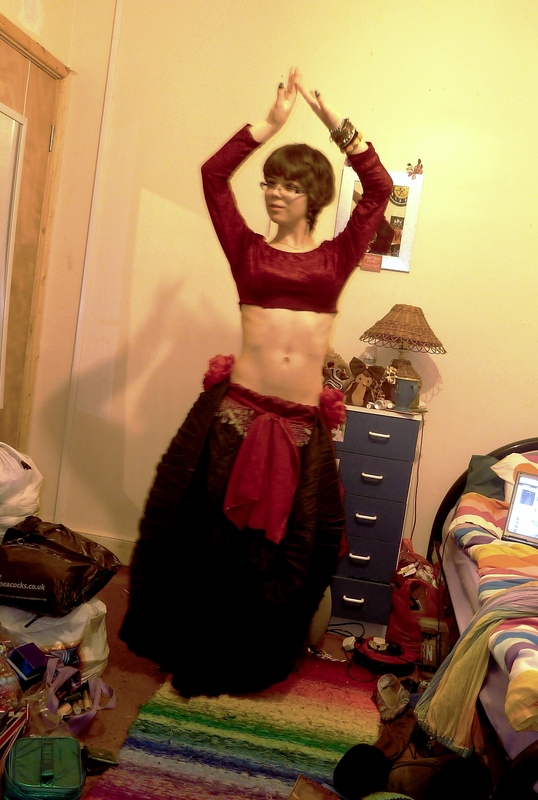 I wasn’t planning on dressing up, but I had just finished my red underskirt for the Summer Show, and wanted to try it with the black skirt, then I just started adding stuff! I need to alter the top – it was safety pinned that night and did have a tendency to ride up Plus it was slightly warm for a two hour class…! Sorry about the slightly wonky, orange photo – I balanced my camera on my sewing machine, despite now having a tripod! Another ‘vintage’ look! And another item that Mum bought for herself and I ended up with 😛 This time it was the skirt. 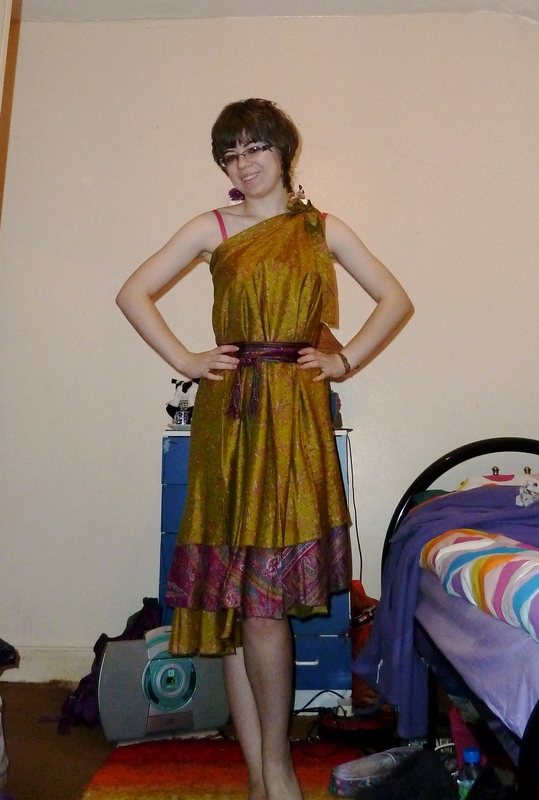 She bought it from a charity shop in Beeston while we were at my cousin’s for her birthday. Again, the picture isn’t showing it off very well, but it is a woollen A-line 50s style skirt, which buttons all the way down the front. It has two huge pockets – always a selling point for me 😛 It is quite a difficult length to style, and would probably look best with low-ish heels, but I think the boots work equally well. The jumper is probably one of my all time favourite items at the moment! It is so comfy, and really warm. This also has silk in it…oops 😛 The jacket is one of my Sixth Form ones, and the necklace is one from Grandma. I didn’t actually wear this out, but had the idea and wanted to try it! I am certainly going to wear it during the summer (if we get any decent weather! ), and am likely to take it with me to Brunei. 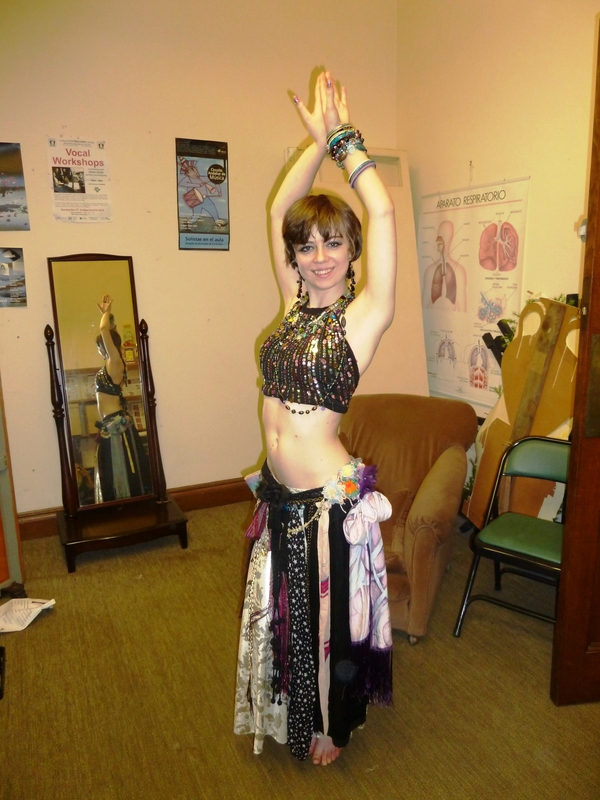 Mainly because it is actually a full length, reversible skirt…so versatile! Once again, it is silk…I think I have a problem 😛 Dad bought it for me during our holiday to North Wales last Summer, and I haven’t had much chance to wear it yet, mainly because the weather turned after we got back! The scarf is one I acquired at one of the clothes swaps. Love the clutch in the second photo and the skirt in the third! It’s good to experiment with outfits, even if you don’t wear them to go out – I do it all the time so if I suddenly need to get dressed really quickly I know I can throw on something which will work without having to try on a load of different combinations. 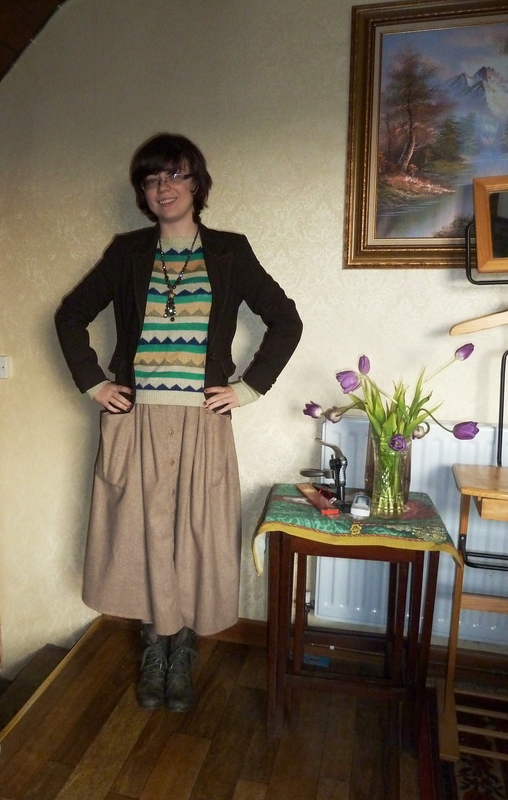 Great creative approach to making a skirt in the final image: the shoelace and scarves. So effective and I bet it looked wonderful in motion – like water.